A solid roof may well be the single most important investment you can make in your home; without it, anything else you could do inside is going to be vulnerable to leaking water at the absolute minimum. Roofs also add to curb appeal, resale value, and lower insurance premiums. 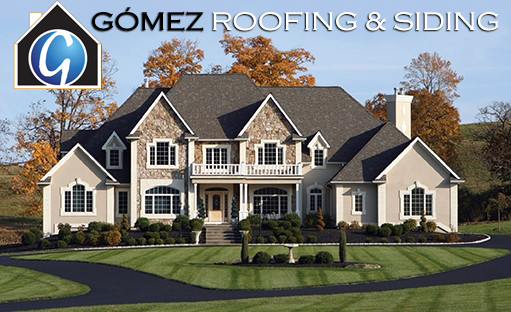 While you might think that the logical place to start when thinking about a roof is to ask what you want the roof made out of, consider the benefits of starting by finding the right Edgemont roofing contractor. In many ways, your contractor makes more of a difference to the outcome of your roof than the material. The reason is simple; the best roofing material has a relatively short lifespan ” even when improperly installed. A good contractor can introduce you to options that are more (or less) valuable to your particular location: for example, if you’re in Philadelphia or any location where your home takes a continual pounding from East Coast storms, you have very different roofing needs than you do in, say…Phoenix. Probably the single most powerful ‘pro’ to list in front of a contractor is a bevvy of other people who have good things to say about them. You can always find people who will complain — about literally anything — so a few complaints shouldn’t spell the end of the world. It’s hard, though, to do a job well enough that people are willing to vouch for you. So if you find a roofing contractor with vocal fans, you can be reasonably confident you’ll have a good experience with them. That said, there are a few kinds of complaints worth listening to. If a business has a negative mark in their local Better Business Bureau, that’s generally worth crossing them off the list. If a business’ Yelp or Angie’s List reviews are mostly negative, you probably shouldn’t bother. A few dissenting voices are inevitable; a crowd on either side — or a preponderance of negativity — should be a red flag. Schedule a meeting — on the phone or in person — and take a few minutes to just chat with them. Ask them about their recent jobs, their favorite jobs, their opinion of Edgemont, and just get a feel for their attitude. If they seem like someone you can work with, you’re in the home stretch. If not, call the next guy. Insist on getting photocopies of the contractor’s basic paperwork; business license, any trade certifications they’re claiming to have, insurance, bonding, and so on. There are unfortunately those people who will work — some well, some poorly — without having these basic ducks in a row. Simply put, you don’t want them touching your house. If you find a contractor that can check all four of those boxes without hesitation, congratulations: you’ve managed to narrow it down to one of the top roofing contractors in Edgemont, PA. At this point, your chances of a good experience with them are above 90%.